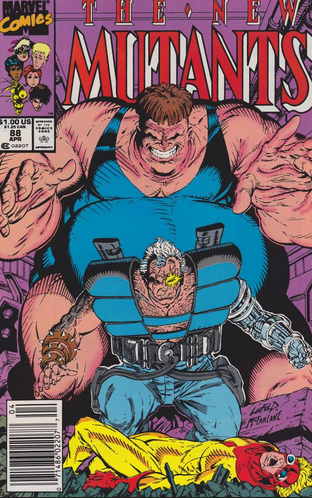 Cable was a pretty hot character in the 90s. Don’t take my word for it. Take a look at the Wizard (the bible for comic book speculation before the Internet) ‘s Top 10 most wanted. 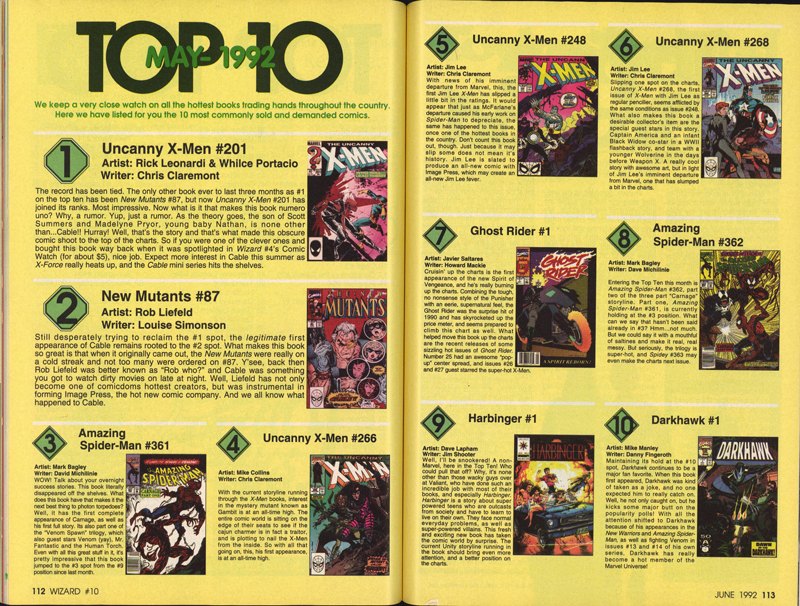 The #1 and #2 spots were occupied by the same character: Uncanny X Men #201 is first appearance of baby Cable while New Mutants #87 was his first full appearance. While the popularity has declined over the years, there is no denying that he will still have a fan base as kids who grew up with him will want Cable in their collection. 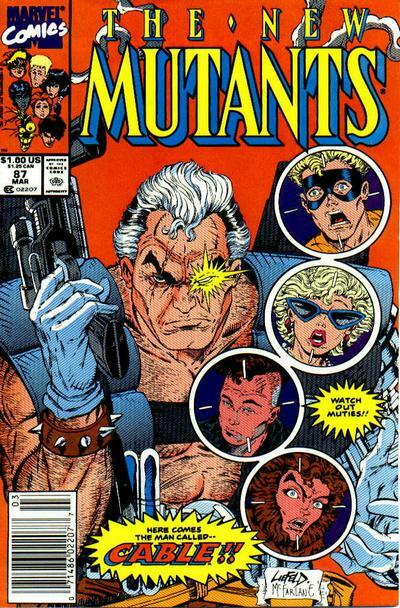 After looking at the New Mutants 98 value after the movie announcement, I believe the confirmation of a Cable movie appearance will have a similar but smaller impact on his key comic books as well. Hence, now is still not too late to stock up before the actual event hit so that you can enjoy the profits when the news materialize. 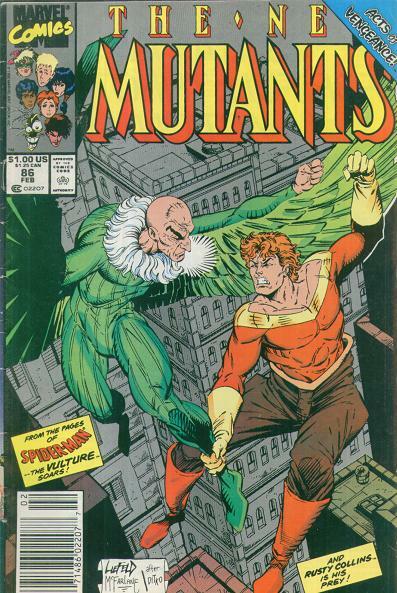 In this article, I have a couple of Cable key issues that might surprise you as these have been ignored in favor of New Mutants #87. However, I will show you some evidence why you should quickly stock up on these before everyone catches on. 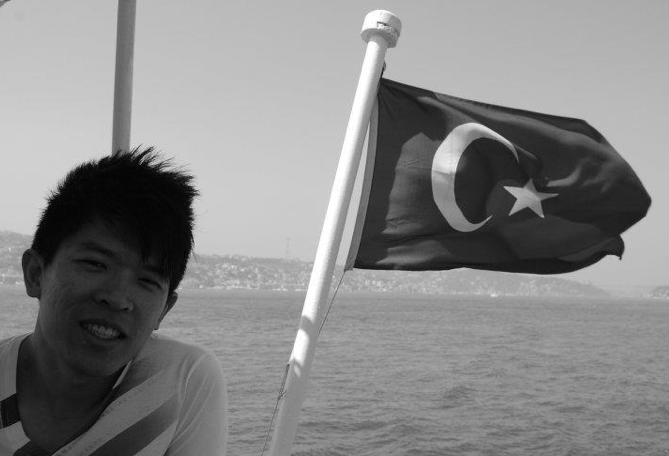 I don’t think this needs any introduction. Just remember to always buy the newsstand if possible as I have shown that these editions do command a price premium over the regular direct editions for comics that are published in 90s and later. I believe this is one of the most undervalued copper age comic right now. The recent comic investing crowd seems to have taken an interest in cameo appearances. 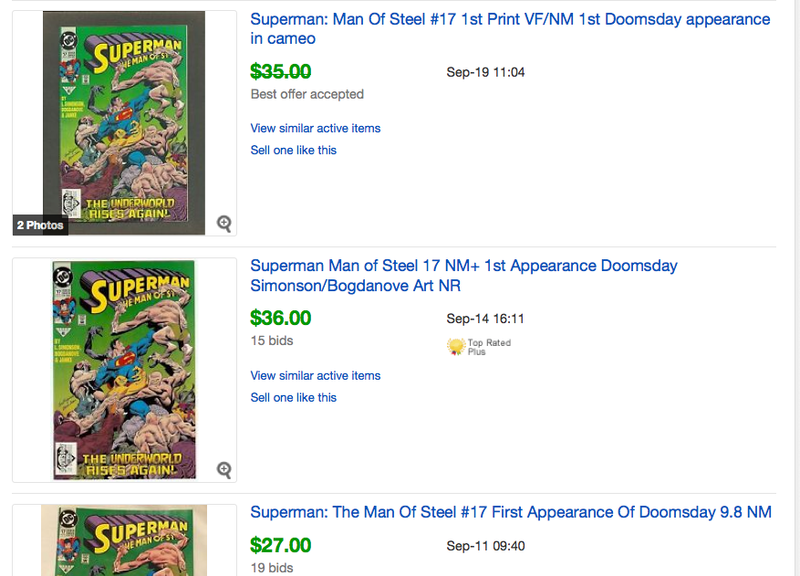 For example, Man of Steel #17 is now commanding $25-$29 simply for showing a fist of Doomsday. 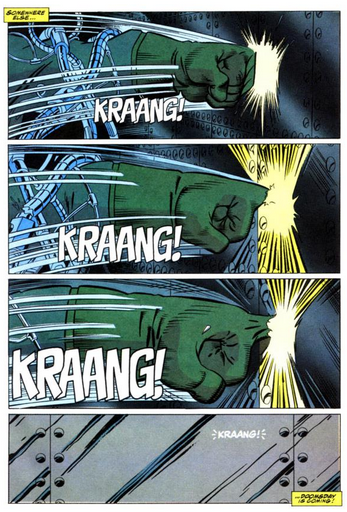 Another example is Hulk 180 which is actually more closer to New Mutants #86 since it shows a full Wolverine, rather than just the arm or shadow. Going by this observation, shouldn’t New Mutants #86 be worth more since (i) Cable is more popular than Doomsday and (ii) it has a full view cameo appearance (see image below), even though Man of Steel #17 has a lower print run (100k+ vs 200k+)? Another point worth making is that New Mutants #86 wasn’t consider a hot book to have, as evidence by its lack of inclusion in the Wizard’s Top 10. This means people wasn’t hoarding this book like #87, which might lead to them being less taken care of or being throw away. Currently, this is a super cheap book. I suggest picking this up as many as you can. There is no doubt Cable is be in a movie and fans will soon come to learn that New Mutants #86 is an important key in their collection. Ever see the prices on X Force #2 lately? That is the power of movie hype and a popular character. I can never image a million print run book getting $15-$25 for being a second appearance. 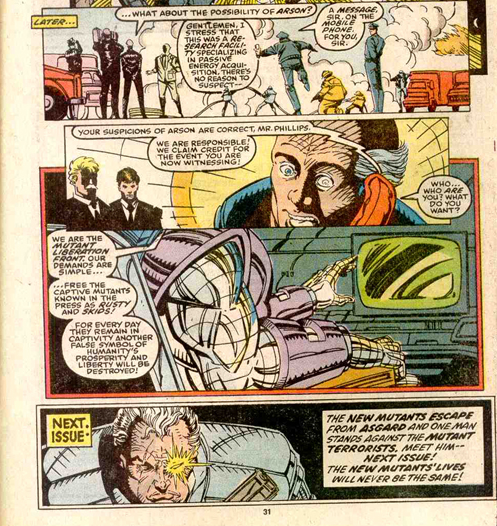 This goes to show the potential of New Mutants #88. It has a much smaller print run of only 200k copies so chances of it going to the same price level of X Force #2 is pretty high even if Cable is not as hot as Deadpool. In conclusion, I feel strongly that Cable will be the next breakout character from the X men movie franchise. This means a great opportunity to earn some dough if you move fast enough to hoard the undervalued copies.